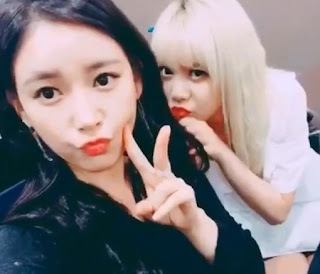 Home » Qri » Soyeon » T-Ara » It's time for SsoKyul's adorable clip! It's time for SsoKyul's adorable clip! SsoKyul... It's the couple name for T-ara's Soyeon and Qri. They are back to delight fans, and you can check out their adorable treat below. "#S#Q 💋💋💋 #BecauseWeWereBored Very #Bored"